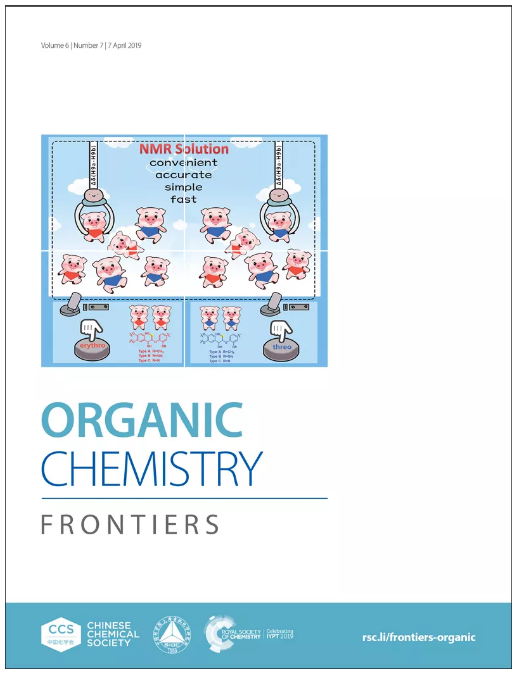 Welcome to issue 7 of Organic Chemistry Frontiers for 2019 ! 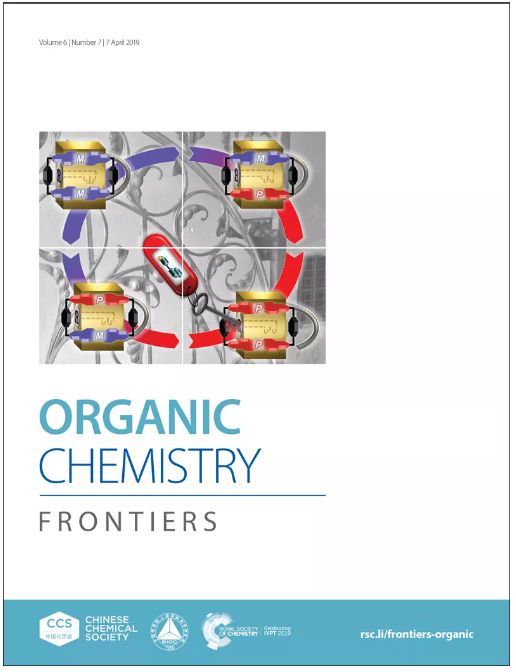 The latest OrgChemFront issue is published online now. 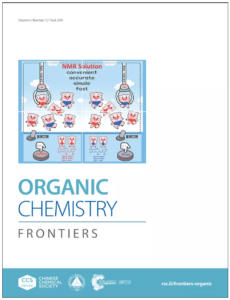 The front cover story, A concise approach for determining the relative configuration of H-7 and H-8 in 8,4′-oxyneolignans by 1H NMR spectroscopy, is contributed by Pei-Cheng Zhang and co-authors. 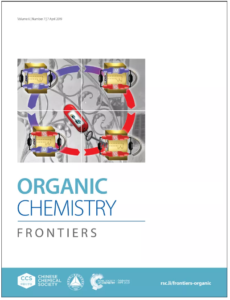 The inside cover features a story on Guest-mediated chirality transfer in the host–guest complexes of an atropisomeric perylene bisimide cyclophane host by Frank Würthner and co-authors.